Born and raised in Omaha, attending Christ The King grade school, Creighton Prep and University of Nebraska Lincoln, John Inserra joined his dad’s general law practice shortly after graduating from Creighton Law School. The former teacher-in-training had found his calling in the legal profession. 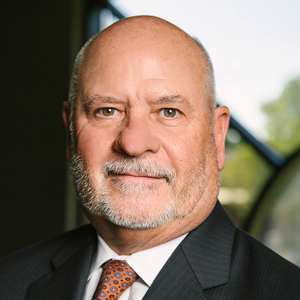 In the 1970s as the firm moved from downtown to midtown Omaha, Inserra grew their work representing railroad workers and is one of the most experienced lawyers in the region on the Federal Employment Labor Act (FELA) that covers them. With hundreds of cases under his belt and over a dozen appearances before the state Supreme Court, Inserra takes tremendous care and pride in representing his clients, whether it’s getting a settlement for a client injured by a defective Chinese-manufactured gun to being part of class action litigation for thousands burned in fire pot accidents. John and wife, Beth, an interior designer with Beth Putnam Interiors, reside in the Old Market area. They have two children. Jeff is an attorney and Heather, who formerly worked at Ameritrade, now stays home with her 3 children. Inserra’s hobbies include all sports, golf, movies, plays and cooking.